Now through May 25, “Dreams and Schemes”. 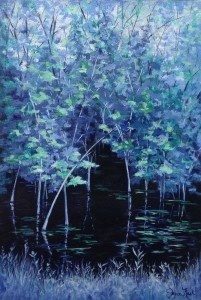 Joyce’s theme at The Off Track Gallery is “Keeping it Cool” featuring paintings utilizing cool color schemes. The exhibit includes the latest painting in her Sanctuary Series, “Keeping it Cool”. There will be an artists’ reception at the gallery on Saturday, August 13, 2016, from 4-7 PM. 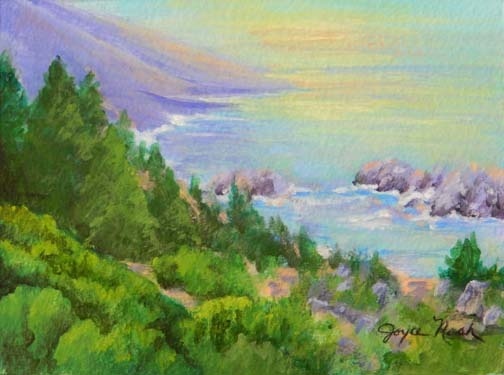 Joyce will be a featured artist from May 26 through July 27 at The Off Track Gallery in Encinitas. 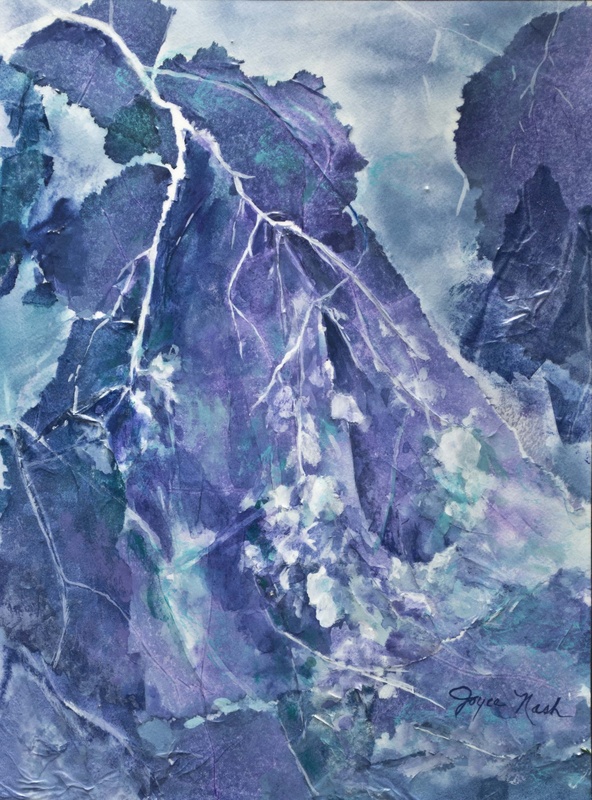 Her theme this month is, “Summertime Blues”, featuring some of her popular seascapes. There will be an artists’ reception on June 11, 2016, from 4:00 – 7:00 PM. Works of mystery, fantasy and delightful limited palette color schemes characterize this exhibit of Joyce’s work at The Off Track Gallery on display from April 1 through May 25, 2016. Artists’ reception was held on April 9. Joyce’s invitation to “Just Breathe” featured paintings evoking meditative and tranquil qualities. It was on display from January 28 through March 30, 2016. 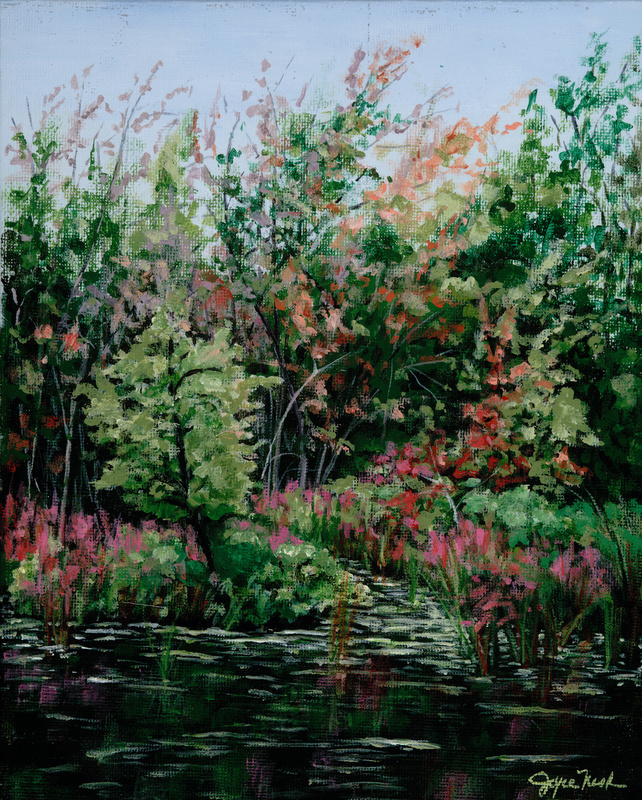 “Reflections” featuring landscapes in which reflections are an integral part of the art work is on display from November 26, 2015 through January 27, 2016. An artists’ reception took place on December 12 from 4:00 – 7:00 PM. Joyce had two paintings juried into the Southwestern Artists Association Annual One-Foot Show: “A Little Fog” and “Twigs”. The exhibit is on display through April 1. Reception and presentation of awards was held on March 22 from 5:00 – 7:00 PM. “A Little Fog” received Honorable mention.